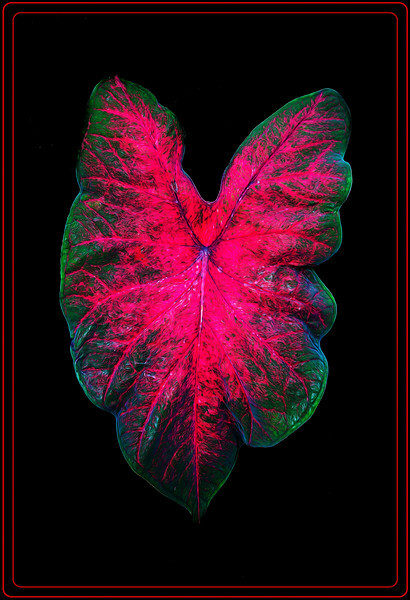 Butterfly Wonderland - Scottsdale, AZ - Heart shaped fancy leafed Caladium Link to Photo Without Frame Thank You for Making this Daily Photo the # 1 Pick on 03-06-2018. Great details and vibrant color! Really amazing detail and colours in this leaf !! Nicely captured ! Gorgeous colors in this leaf--nicely presented with the red borders. Excellent! Red and Black blend together beautifully.